A 29-year-old white male who has receding hair line, deep temporal angles, markedly thinning hair at the front and some thinning at crown. He has a coarse, black and wavy hair with good donor density and average laxity. He underwent hair transplantation on February 8th, 2012 with a total of 2756 grafts (5759 hairs) 1-hair=548 grafts,2-hairs=1637 grafts, 3-hairs=347 grafts, 4-hair= 224 grafts were transplanted in 61 cm2. Below are pre and post operative pictures that were taken 10 months after surgery. He is very happy with the result, the donor scar is minimal. 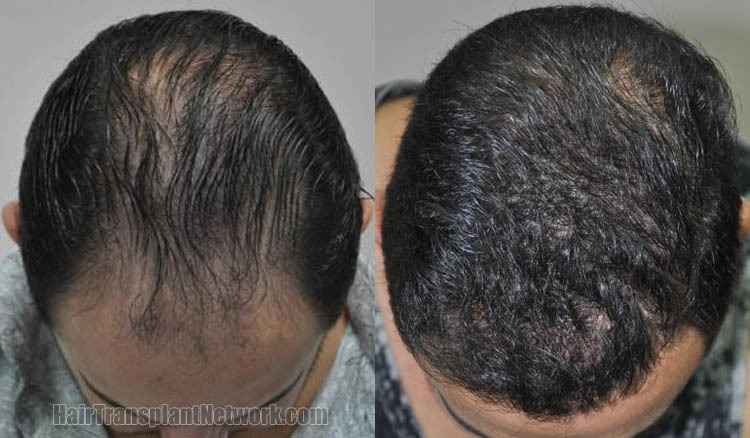 Hair restoration surgery using 2756 grafts shown from the front, viewing before and after pictures. 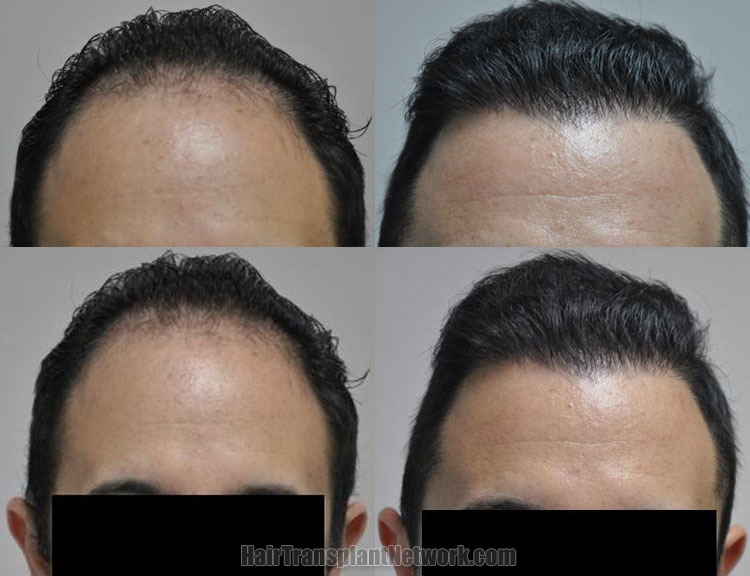 Hair transplant surgery using 2756 grafts viewed from the top, displaying before and after photos. Hair restoration surgery with 2756 grafts displayed from the left, viewing preoperative and postoperative photographs. 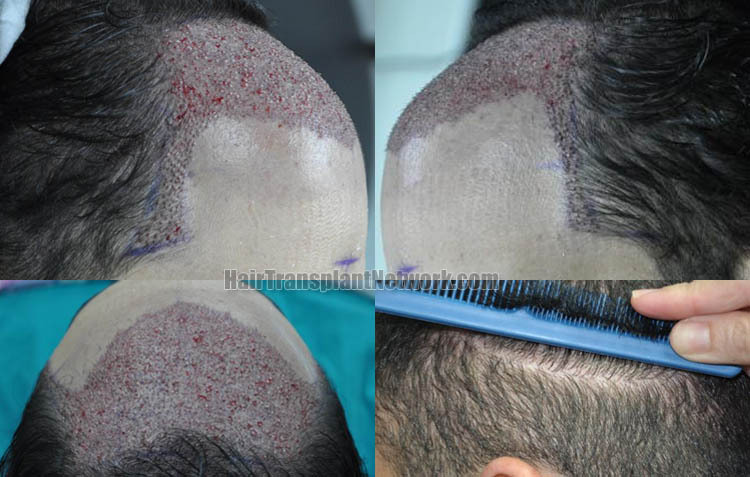 Hair transplant procedure with 2756 grafts displayed from the right, viewing before and after images. Hair restoration surgery with 2756 grafts displaying various immediate postoperatime images and the patient’s donor scar area 10 months postoperative.